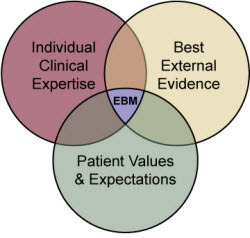 Evidence-Based Practice: Nursing: What is EBP? 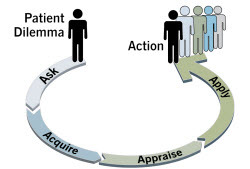 conscientious, explicit, and judicious use of current best evidence in making decisions about the care of individual patients. integrating individual clinical expertise with the best available external clinical evidence from systematic research." From: Sackett DL, Rosenberg WM, Gray JA, Haynes RB, Richardson WS. Evidence based medicine: what it is and what it isn't. BMJ 1996 Jan 13;312(7023):71-2. 12 articles that describe the EBP process from beginning to end.